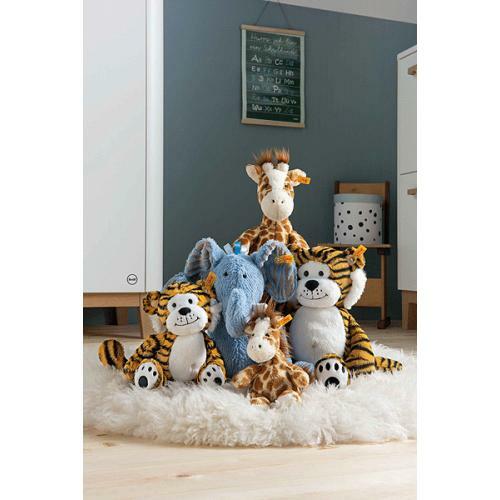 Steiff Toni Tiger is made by hand, in the finest striped cuddly soft plush. 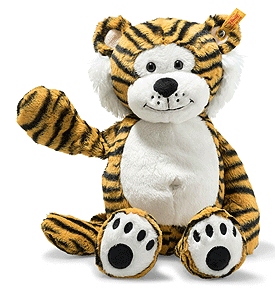 Toni tiger is striped and measures 40 cm. It is made of soft cuddly plush fabric. 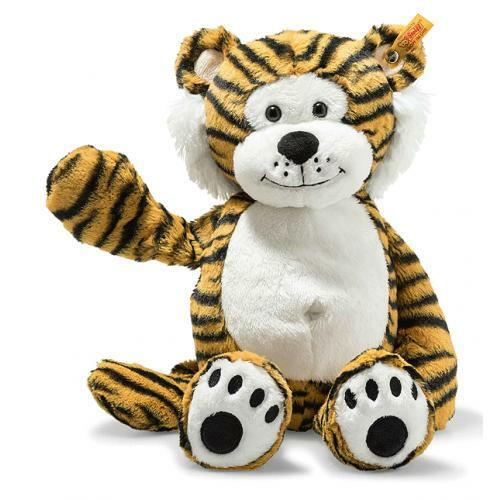 Bean bags are sewn into the arms, legs and its bottom.The long white mane makes a bright contrast to the short striped plush fabric of the tiger's fur. The whiskers and friendly smile are embroidered in black stitching. The inside ears are a cream colour. The white cuddly tummy is decorated with an embroidered belly button. Black claws and pads are sewn into the white soles.